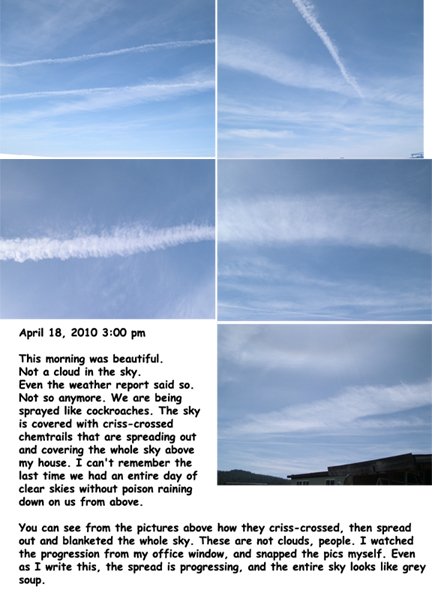 If you have any doubts about the reality of chemtrails, take a look at these pictures. I snapped them outside my door. Look at the progression. The sky is now grey soup, and it was clear. THESE ARE NOT CLOUDS OR NORMAL VAPOR TRAILS. Read my article What do HAARP, Chemtrails, and Global Warming all have in common? and look at these pictures. Now understand that this activity can cause drought. 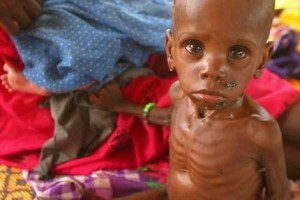 We just happen to be experiencing a drought in this area, and the farmers’ water will be taken away due to this. If you don’t already know this, then WAKE UP PEOPLE!!! This is biological warfare! We are the targets, and the one world government is the aggressor. Final of a four-part series on the manipulation of the public through a planned media campaign.